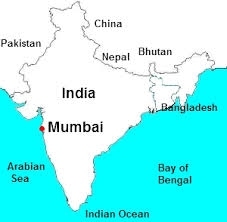 Many opportunities for shopping are available in Mumbai, one of the largest cities in India. The shopping malls in Mumbai are famed for displaying the epitome of style and fashion. Shoppers are always able to purchase daily necessities as well as seasonal and trendy items. The city features an eclectic mixture of handmade crafts, high end and designer goods, shopping villages which sell antiques and works of art. As more and more malls are built, there is a growing influx of international brands and imported goods from all over the world. The Raghuleela features three floors over which are spread stores selling a varied mix of clothing, accessories, jewelry, electronics, nail and hair salons, gifts, and footwear. A shopping break in the mall can allow you time to take in a movie at the in-house cinema or grab a bite to eat in the food court. The Raghuleela is a well maintained complex which serves the residents of the suburbs. The Infiniti is another suburban hotspot where locals and visitors flock to hang out and take in a local live performance or to watch a movie at either the Cinemax theatres or Planet Infiniti. Shopping is also very much an option with stores selling clothes for adults and children, books, stationery, jewelry, footwear, gaming and electronics. Orbit is as much an entertainment center as it is a great place to find good bargains. You can go for dinner and a movie for no more than 2,000 rupees. In addition, shopping offers you a selection among some of the leading brands to include the Body Shop, Charles & Keith, Shoppers Stop and Gelato Italiano. Live entertainment and giveaways are a constant feature on the ground level for shoppers of all ages. The third floor of the mall features a theatre, a gaming zone, kiddies play area and a food court. The High Street Phoenix is a centrally located mall in southern Mumbai. It covers an expansive area of 3.3. million square feet which includes the Skyzone shopping area, the Palladium Mall and the Palladium Hotel. The shops house both national and international brands to fit varying budgets. A large courtyard is home to the food court, a bowling alley, sports bar and game arcade. Address: Oberoi Garden City, Goregoan East, Mumbai. The Overoi Mall offers a modern shopping, entertainment and dining experience spreading over 700,000 square feet. Although not among the largest malls in Mumbai, it remains one of the most popular shopping and hangout destinations. The Central Department Store and the Lifestyle Home Center Outlet comprise two of the main attractions. On the ground floor you will find cosmetics, fragrances and accessories. The second floor features sportswear and clothing while the entertainment center with the cinema, food court and gaming section occupies the third floor. Phoenix Market City is one of the newest mega malls in Mumbai, only opened in 2011. Despite its location in a busy section of the city, it is a quiet and expansive area covering over 4 million square feet. It is home to more than 300 Indian shops, 55 eateries, a cinema with 8 screens and a large family entertainment center. 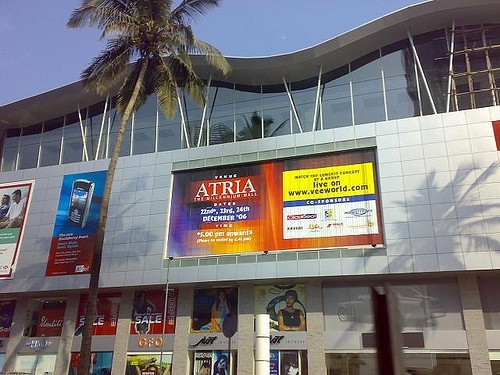 Atria is famed for being one of the top malls in Mumbai, especially for shoppers who desire something above the ordinary. The mall spreads over 5 levels and is home to a host of top international brands. One of the most visited stores is the Eco Corner which focuses on a select range of environmentally-friendly products for the home which are all hand crafted by local villagers. The food court and gaming area can be found on the highest level. The mall is also famous for its 4D cinema. Hypercity Mall is most popular for its focus on technology. Its entire second floor is dedicated to technology department. Here you can find anything from photography, computers and accessories, communication and audio equipment. The other product offerings include health and beauty products, grocery, furniture and home décor, toys, sporting equipment and fashion. R Mall in Mulund is an eclectic blend of fun, dining, and shopping. It features a pub, a multiplex, restaurant, a gaming area and a Pizza Hut. Crossroads Mall spreads over 150,000 square feet in a total of four buildings. It is best known for its range of brand name clothing. Center One in Vashi. In addition to Pantaloons and a food market, this mall is mainly made up of numerous little retail shops. V Mall in Kandivali specializes in a wide selection of Indian and international brands. It also houses parlors, music stations and a food court.